Dongshan's "No Cold or Heat"
The words which command the universe are obeyed through the ages. The spirit able to quell the tiger amazes even thousands of the holy ones. His words are matchless, his spirit prevails everywhere. If you want to go through with your advanced training, you must enter the great master's forge. Tell me, who could ever show such spirit? See the following. A monk said to Dongshan, "Cold and heat descend upon us. How can we avoid them?" Dongshan said, "Why don't you go where there is no cold or heat?" The monk said, "Where is the place where there is no cold or heat?" Dongshan said, "When cold, let it be so cold that it kills you; when hot, let it be so hot that it kills you." When Dongshan was with Nanquan, one of Mazu's disciples, Nanquan observed the anniversary of Mazu's death and said to the assembly, "Will Mazu come back to us?" Dongshan said, "If there is company fit for him, he will. When Dongshan was studying with Guishan, he asked Guishan about National Teacher Nanyang Huizhong's "Sermons by insentient creatures." Guishan said, "Sermons by insentient creatures are given here for us, too, but few can hear them." Dongshan said, "I am not yet certain about them. Would you please teach me?" 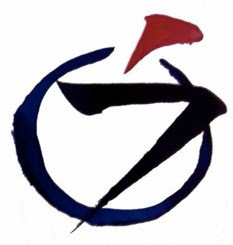 Guishan said nothing, but raised his hossu [a short staff of wood or bamboo with bundled hair or hemp wielded by a Zen Buddhist priest] straight up. Dongshan said, "I do not understand. Would you explain it to me?" Guishan said, "I would never tell you about this with the mouth given to me by my parents." This was Guishan's way of teaching. Coming to Yunyan (whom Dongshan later succeeded), Dongshan asked, "Who can hear the sermons of insentient creatures?" "Insentient creatures can hear them," answered Yunyan. "Why can I not hear them?" Yunyan raised his hossu straight up and said, "Do you hear?" Yunyan said, "Don't you know the sutra says 'Birds and trees, all meditate on the Buddha and Dharma'?" Listening with your eyes, you hear them. I was far from reaching it. And I am not itself. Once there was a monk who asked Dongshan, "How is it when Manjusri and Samantabhadra come to call?" Dongshan said, "I'd drive them into a heard of water buffalo." The monk said, "Teacher, you enter hell fast as an arrow." Dongshan said, "I've got all their strength." A monk asked Cuiwei, "What is the meaning of the Patriarch coming from the West?" Cuiwei said "When no one comes, I'll tell you," then went into the garden. The monk said, "There's no one right here: please, Teacher, tell me." Cuiwei pointed to the bamboo and said, "This stalk is so tall, that stalk is so short." Suddenly the monk was greatly enlightened. 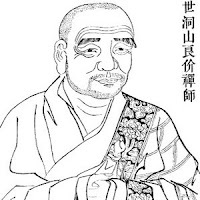 Caoshan asked a monk, "When it's so hot, where will you go to avoid it?" The monk said, "I'll avoid it inside a boiling cauldron, within the coals of a furnace." Caoshan said, "How can it be avoided in a boiling cauldron or among the coals of a furnace?" The monk said, "The multitude of sufferings cannot reach there." Dongshan puts the collar on the sleeve and cuts off the shirtfront under the armpits. But what could he do? This monk didn't like it. Peaceful meditation does not require mountains and rivers: when you have extinguished the mind, fire itself is cool. "Why don't you go to the place where there is no cold or heat?" This is the correct within the biased. "When it's cold the cold kills you; when it's hot the heat kills you." This is the biased within the correct. Though it's correct, still it's biased; though it's biased nevertheless it's complete. With this kind of public case you must understand directly as soon as it is uttered. If you see Dongshan by means of this example, you may consider him foremost among the Five Houses. Even Yunmen looks clumsy by comparison. This monk is cold; he tried to see an example of how Dongshan would respond. "Why not go to where there is no cold or heat?" This most leisurely exchange is utterly indescribable. Fishing around, Dongshan ripped off this monk's household goods with a huge rake. "How is it where...?" The monk conceives an interpretation following the words, not realizing he's been given a method of changing his bones. "When it's cold, it kills you with cold." It's a pearl that lights up the night, presented along with a tray and all. Even Yunmen and Linji would be flabbergasted by this saying; one can only sing its praises. The twin roads of life and dath are what students suffer over; this question refers to them as cold and heat. "...where there is no cold or heat." Where there is no flavor, where there is no room for a blow of a cane or a shout. This is a direct indication of the beyond. It is not a place where there is or is not cold or heat, but the monk missed it right off the bat, and so he asks again. "When it's cold, it kills you with cold." When it's cold, it's extremely cold; when it's hot, it's extremely hot. Are you cold or hot? Is there anything better? Is there nothing there? Get a grip and find out! Cold and heat descend upon us. Death and disease stare us in the face. How can we hope to escape from them? Why don't you go where there is no cold or heat? Where is the place that is without cold or heat? We all madly, pointlessly seek it, to no avail. When cold, let it be so cold that it kills you. Freedom of mind comes when we free ourselves of what was burdening our minds. If you bravely face even the most appalling prospect with all your strength and resolution, that is positive samadhi, and what had frightened you will become enjoyable. The real concern here is not specifically cold or heat but rather the sufferings of life, the fear of death, and delusion generally. How can we avoid them when they descend upon us? 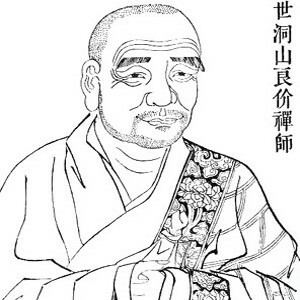 Dongshan said, "Why don't you go to the place where there is neither cold nor heat?" Why don't you go to the place where there is no suffering? Dongshan seems to be offering hope to the monk -- as if such a place existed. 'When it's cold, kill yourself with cold. When it's hot, kill yourself with heat.' In other words, "that's the place where there is neither cold nor heat." The place where there is neither cold nor heat is right smack in the middle of cold and heat. There's no place to run. Suffering and sadness, sickness and death: all of them arise according to the law of causality and there is no way we can escape them, no matter what we do. But it is in the very midst of suffering that we escape suffering. When you are suffering, you become completely one with that suffering; there is no other way. If we are on speaking terms with the essential world of emptiness, even in the midst of great suffering and distress we will be able to maintain our composure and peace of mind. No matter how much we wiggle and squirm, there is no way we can escape from our present circumstances. We must learn just to give in to our situation, becoming one with those circumstances. To be able to maintain our basic peace of mind in times of great suffering we must have our sights clearly fixed on the essential world where there is nothing. This is the only thing we can do. He reaches out, but it's still inaccessible. Sho and Hen: no arbitrary distinction here. Why must absolute and relative be in an arrangement? The ancient emerald palace shines in the bright moonlight. Clever Kanro climbs the steps -- and finds it empty. A sneaky dog goes up the stairs for naught. Sho and Hen. This is a reference to Dongshan's five ranks, which are a philosophical tratment of the relation between the real (sho) and the apparent (hen). The ancient emerald palace is the place where there is no cold or heat. It represents the realm of samadhi. In samadhi, your subjectivity and objectivity are unified. In other words, when it is cold, you do not evade it but become one with it. When it is hot, you immerse yourself in the heat and become one with it. Clever Kanro: A legend tells of a clever, fast-running dog, Kanro, that chased a hare. Both ran so fast that eventually they fell dead of exhaustion. The monk who asked the question is here compared to Kanro. He pursued the problem of life and death, entered the emerald palace, and found it empty. But what is empty? Dongshan's "go to the place where there is no cold or heat" is like flowers blooming on a withered tree in the midst of the frozen tundra. His "let the cold kill you...let the heat kill you" is a roaring furnace that consumes every phrase, idea, and thing in the universe. Even the buddhas and sages cannot survive it -- nothing remains. However, we should understand clearly that this "let the cold kill you" is not about cooling off. Cold is just cold, through and through. "Let the heat kill you" is not about facing the fire. Heat is just heat, through and through. Furthermore, there is no relationship whatsoever between Dongshan's heat and cold. Heat does not become cold; cold does not become heat. The question really is, where do you find yourself? or is it the pearl that rolls around the bowl? or is it the person who is cold? at that moment, where is the self to be found? All obstructions removed, the whole appears everywhere. The edges of temperature easily kill. Too hot, too cold, fragile beings will die. If not this season, then maybe the next. Grifters sell sham silver cities. both closed in a freeze over previous days. past the eloquent silence of long ago. No smoke out of drowned coals. I'll hide in the cauldron, I'll live in the cooler. I'll fight my demons with more of the same. No what, no who: suffering cannot arise. From the beginning, we are dead ones walking.